I really like working with actors. They take direction well, they're collaborative, they want to help you make your thing work. That said, I'm not really interested in taking production photos, that's the bit where you come in on the last dress rehearsal and sit in the audience and click away. If people ask me to do production photos I usually watch the play and then re-enact key scenes later with the cast where I can get up on stage and start and stop and rewind the action, that's fun, but it's difficult to find theaters that will let me work that way. 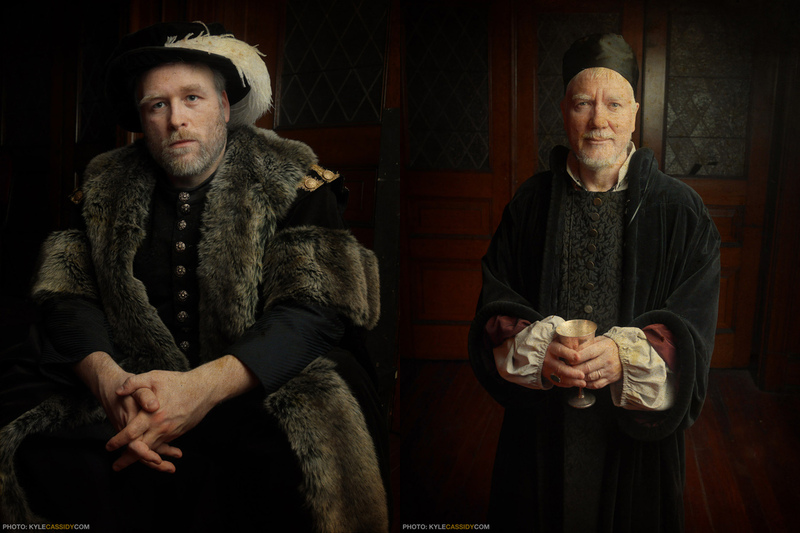 But what I really like doing are theatrical portraits. That's something that totally interests me. 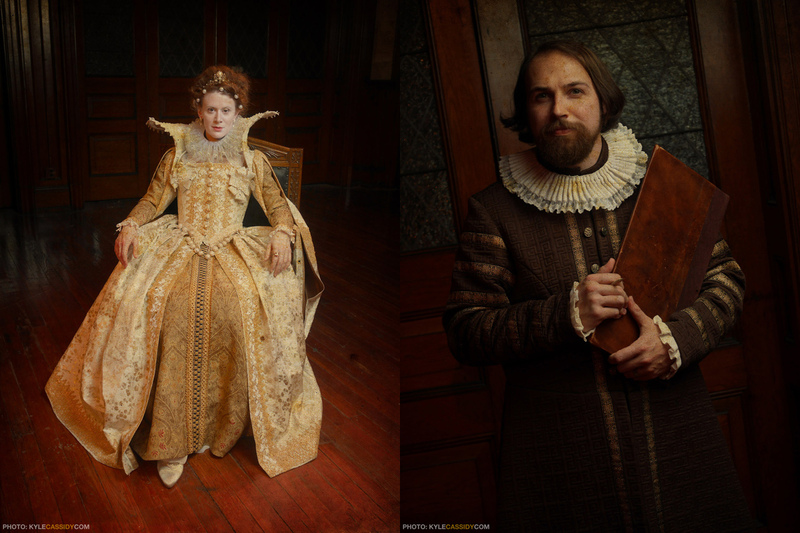 So this week I photographed Mary Stuart which opens this week from The Philadelphia Artists Collective. It was great. I had lots of fun and we did wonderful stuff. It's directed by Dan Hodge who directed trillian_stars in MacBeth and The Real Inspector Hound and we love him. He's a great director who always has a vision beyond what was written on the page. The Philadelphia Artists Collective is his baby, he's one of the founding members and this is what he calls home. 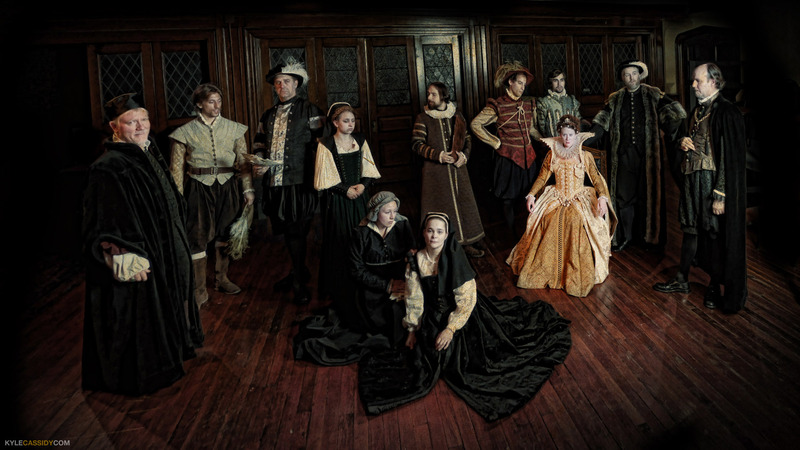 The cast of the Philadelphia Artists' Collective Mary Stuart. Four image panorama stitched together in Photoshop. I was using a wide angle lens and realized only when I was putting it together that I'd have been better off shuffling to the right rather than turning to the right so that everybody was head-on to the camera. I'll give that a try next time. Anyhoo, the really nifty thing about PAC is they do plays that you don't ever see otherwise. Imagine this: Shakespeare is the Beatles. We all know his plays, we see them all the time. But who are the Rolling Stones? Who are the U2? Who are the Clash? Who are all the other great playwrights working around the time of Shakespeare that we don't know about because someone's putting on Midsummer Night's Dream again? That's what these guys do. Mary Stuart tells the story of Queen Elizabeth I and her sister, Mary Queen of Scots. It's not a good relationship. There's intrigue, people are locked up in the Tower of London, people die, people betray people. It's action packed. It was written in German by Fredrich Schiller in 1800 (in this case a good deal after Shakespeare's time) -- it's a dense play, you might need to take notes in the program to keep track of who's on whose side because there's lots of switching around. It's got all the things that make Shakespeare wonderful and the cast of PAC is made up of some very, very heavy hitters. One of the great things about working with Dan Hodge is that he's like "what do you need?" and then he just lets you go. He has a great talent for getting great people and just letting them do what they do and such lovely things come out of it. Everybody was super-nice and we cranked all of this out in 30 minutes. It was snappy, but we got it done fast & well. Tech info for the photogeeks: Photek Softlighter II (the big one) but more importantly taking a lot of notes during the play and scoping out places in the theater where things would work. 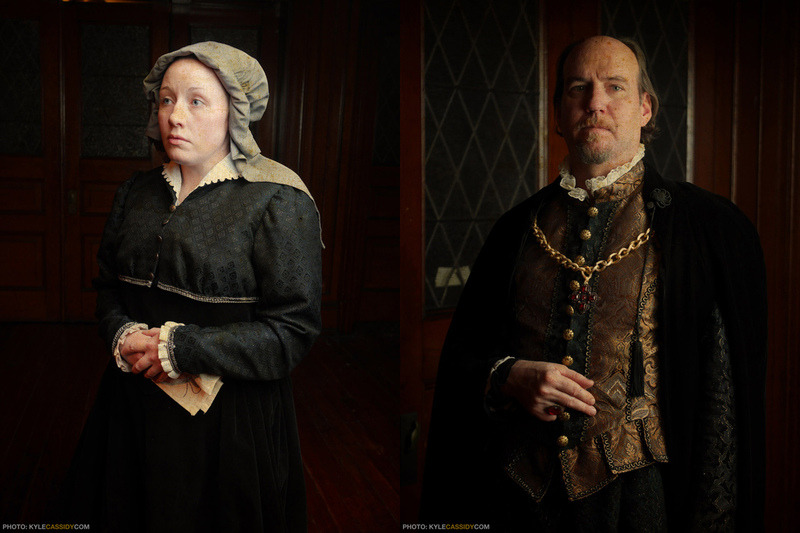 Mary Stuart runs April 2nd - April 19th at the Broad Street Ministries theater which is on 13th street in Philly. Small quibble: Mary of Scotland was NOT Elizabeth's sister, although she was a cousin. Her sister Mary was Mary of England, often known as Bloody Mary and she was of course dead, probably of uterine cancer, by the time Elizabeth ascended to the throne. I saw a production of this play on Broadway, and I forget who the main cast was. It was pretty amazing, though, and there was this scene which takes place in the rain where there was actual rain/water on stage and I was like, "Whoa... why have I never seen plays done on Broadway before?"